The AlphaLab Gear 30-week program helps companies reach these points faster. We focus on customer discovery, prototyping, legal and accounting, business model development, product iteration, early manufacturing and customer traction. We also offer an optional eight-week session focusing on manufacturing at scale, covering topics such as design for manufacturing, tooling, regulatory, quality control, vendor negotiations, inventory management/fulfillment, and connections to manufacturers and supply chains. Companies participating in our 30-week program receive up to $50,000 investment. AlphaLab Gear is a program of Innovation Works, which regularly ranks as one of the top seed-stage investors in the U.S. Qualifying alumni companies have the opportunity to raise additional capital — up to $600,000 — from the Innovation Works Seed Fund. Our 100+ mentor network is one of the most valuable aspects of the AlphaLab Gear program. Companies benefit from the guidance of entrepreneurs, technologists and investors who have developed and launched products, raised capital and negotiated manufacturing and distribution partnerships. Companies have opportunities to meet 1-on-1 with mentors during meetups, talks, or through personal introductions. Mentors are able to provide relevant strategic and tactical guidance to companies that is specific to each company’s industry, stage and goals. Check out our mentors here. AlphaLab Gear, AlphaLab and Innovation Works collectively have an extensive alumni network of over 300 companies, many of which remain engaged with our current companies, offering expertise and guidance. Check out the AlphaLab Gear, AlphaLab, and Innovation Works company pages to see our portfolio and alumni companies. As a nationally-ranked accelerator, AlphaLab Gear has an extensive network of investors and corporate partners. Many of our companies find their first investors, customers, suppliers, advisors and other partners through introductions from our network. Ilana served as President and CEO of Sima Products, an international consumer electronics accessory manufacturer, which she led to a successful exit. Through her work, Ilana has strong experience in new product development, manufacturing, supply-chain management and retail distribution. 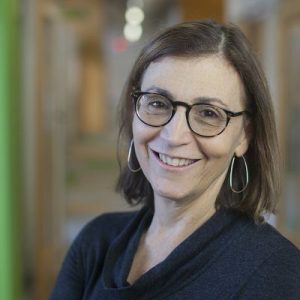 Ilana is an active angel investor and advisor in Pittsburgh’s startup community and currently serves on the Board of Directors for the Pittsburgh Technology Council and Tie Pittsburgh. Previously, Ilana sat on the Executive Board of the Consumer Electronics Association. Cole is a founder and co-owner of Petagogy, a brick-and-mortar natural pet retail chain, where he led consumer marketing efforts, managed distribution channels, and handled all financial modeling, projections and accounting functions. He has bootstrapped Petagogy from nothing to a three-store operation that is regularly voted the top pet retail brand in the region by a number of media outlets. 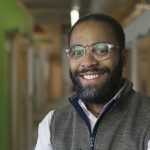 Prior to joining AlphaLab Gear, Cole was the Business Developer Manager for Innovation Works, where he raised funding from companies, foundations and other sources. Prior to that, Cole worked in business development for an international development non-profit. Cole has an MBA from the Katz Graduate School of Business at the University of Pittsburgh and a BA in Anthropology from the University of Maryland. Leah runs the AlphaLab Gear Hardware Cup, an international pitch competition for early-stage hardware startups. She leads the outreach, marketing, and event management efforts for the US regional competitions, and provides support to partners holding Hardware Cup events around the world. Additionally, she manages marketing for the AlphaLab Gear program. Leah brings a wide range of marketing, management and event planning skills to the accelerator programs. 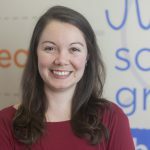 Her varied background also includes leading marketing and sales for the Santiago, Chile branch of a Spanish language school, launching and managing a market in Nantucket, and coordinating marketing efforts for a restaurant group in Washington, DC. 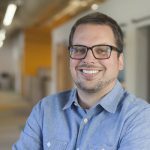 Prior to joining Innovation Works, Matt was the founding General Manager of TechShop Pittsburgh. He then went on to found Clear Ice Rocks, where he invented, prototyped, crowdfunded, mass-produced, and fulfilled orders to over 55 different companies. 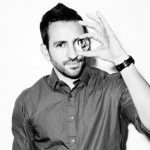 In his role as Manufacturing Program Associate, Matt engages with accelerator and early stage hardware companies to identify design and manufacturing needs, and provides connections to resources for design for manufacturing, prototyping, components, and supply chain partners. 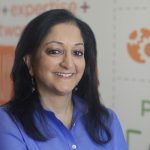 Prior to Innovation Works/AlphaLab Gear, Afshan was CEO of Focal Point Products, an international manufacturer and distributor of polyurethane millwork building materials for home construction, commercial projects, and building renovation. Earlier in her career, Afshan held a number of key positions in Xerox Corporation, in business development, M&A, and strategic planning. Afshan holds an MBA from the Carnegie Mellon Tepper Business School, and a BS in Business Administration and English from Duquesne University. Jeff has 15 years’ experience in innovation, corporate strategy, manufacturing and energy technologies, and operations in both early stage and Fortune 500 companies. Prior to Innovation Works/AlphaLab Gear, Jeff was in charge of business development and strategy for the emerging technology R&D portfolio for Westinghouse Electric Company. Before joining Westinghouse, Jeff held marketing, strategy, and development roles at the Ex One Company, a global manufacturing technology incubator headquartered in western Pennsylvania. He led the successful commercialization of Imagen, LLC, a manufacturer of dental implant and bio-medical devices through 3D printing, becoming that startup’s General Manager and Vice President. Jeff holds a Bachelor of Science degree from the United States Naval Academy and a JD from the University of Pittsburgh School of Law. Staci runs Startable Pittsburgh, a youth entrepreneurship and maker program, which teaches students technology innovation in hardware product creation. She also assists AlphaLab Gear cohorts, helping the startups design their products and utilize onsite and community resources for prototype fabrication. 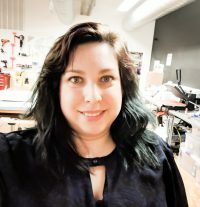 Staci is an artist, maker, tinkerer and fabricator who has worked on the operations side of many different business models, including her own studio practice, cultural event production, and curatorial projects. She has a BFA from West Virginia University and an MFA from Parsons, The New School. Use your own private office when you need it; collaborate in our open workspace when you want. Access to free and discounted legal services including a complimentary incorporation package through Cohen & Grigsby’s AlphaLaw program as well as complimentary filing of initial intellectual property through Fox Rothschild. Access to free and discounted accounting and tax services through Sisterson & Co.
Help with finding and paying for an intern through connections with local universities such as Carnegie Mellon University and the University of Pittsburgh. Free and discounted access to products and services essential to any startup like Amazon Web Services, Solidworks, Stripe, ZipCar and more through our Global Accelerator Network membership. Never-ending coffee, snacks and drinks. And usually lunch at least a couple times a week.